I first visited Arles two years ago. 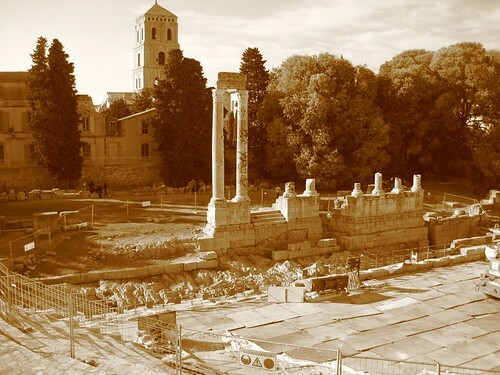 The well-preserved Roman ruins captured my imagination. I wrote the following account in a local restaurant that very day. On my second visit, I was equally impressed with the city. 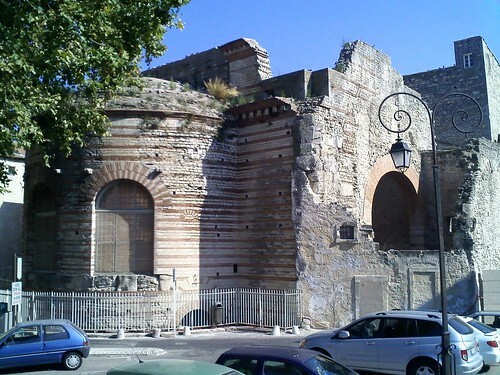 (November, 2007) The Roman Amphitheater or Arles sits at the highest point in the city and still dominates its surroundings. 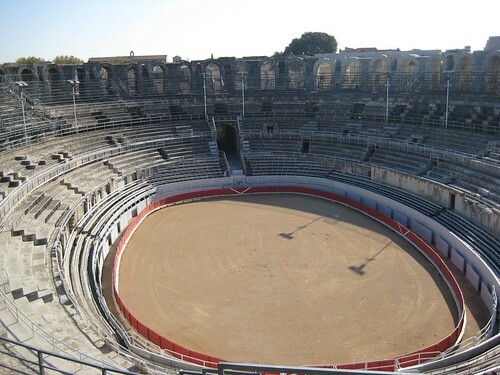 Amazingly, even though the structure was built in 90 A.D., it is still being used today – regularly showing bull fights since 1830. The monument is 136 m (~450 ft) long and is ringed by 60 arches. Twenty thousand spectators could have been comfortably seated to watch gladiator duels and exotic animals fight. In the middle ages, the structure was converted into a fortress. At that time, over 200 homes and two churches took up residence within the friendly confines. I entered through the front gate, just like a typical Roman would have done. It wasn’t hard to imagine the bowl filled with thousands of spectators. I hiked up to the top of one of the medieval towers for a bird’s-eye view. From that vantage, I could see all of Arles, and I imagined how medieval watchmen would have been able to spot invaders from miles away. Only a slight metal grandstand reminded me that it was 2007. Having worked on some stadiums back home, I was surprised by how little the basic arena concept has changed. Next, I viewed the ruins of a Roman theater. 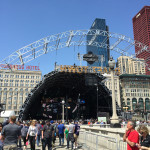 The structure was originally built up off of ground level and included two levels of seating and huge stage area. 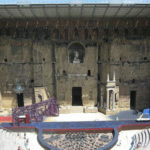 In ancient times it would have looked much like a modern performance hall. 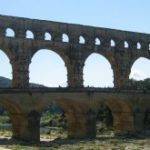 History has not treated the first century B.C. structure as well as the adjacent amphitheater. Only the lower seating bowl and two of the hundreds of ornate columns that would have decorated the structure still remain. Entertainment may have been for special occasions, but every afternoon, the Roman population would visit the baths. The process included a sauna treatment, hot bath, lukewarm rinse, some laps in the swimming pool and finally a massage. Much of the Roman baths of Arles remain to this day. Unfortunately, only a half-dome remains of the roof, and most of the floors are also gone. This allows modern visitors to walk through the ancient furnace rooms. 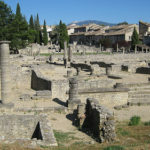 I had a great time exploring the Roman ruins, market squares, and natural wonders of Provence. It is easy to see why so many people continue to visit the region in search of a muse. A special experience awaits those who can draw inspiration from the magnificent historic structures.